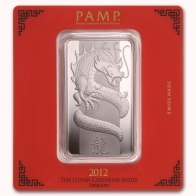 SwissBullion.ch sells the PAMP Lunar series of silver bars. 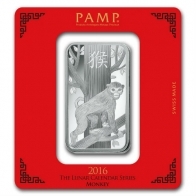 These bars are available in 1 Ounce and 100 Gram sizes. 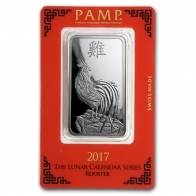 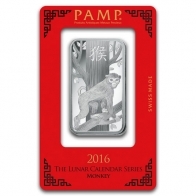 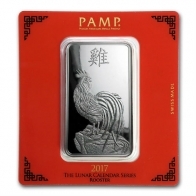 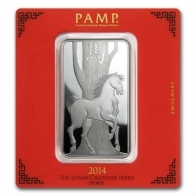 The PAMP Lunar series is based on the Chinese Lunar Calendar, and a newly designed bar is released annually. 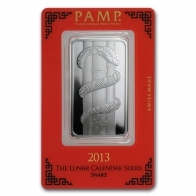 PAMP Lunar bars are available in gold and silver. 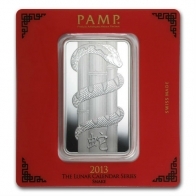 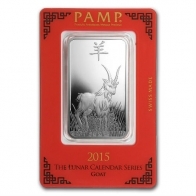 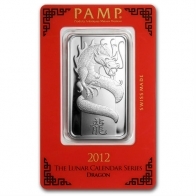 Designs available include the PAMP Silver Year of the Dragon, Snake, Horse and Goat. 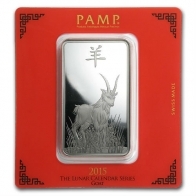 PAMP release a number of different styles of bullion bars available in gold, silver, platinum and palladium. 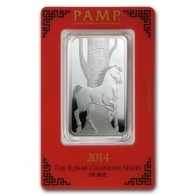 The PAMP Lunar bars may be purchased for VAT-exempt Swiss storage or worldwide delivery.